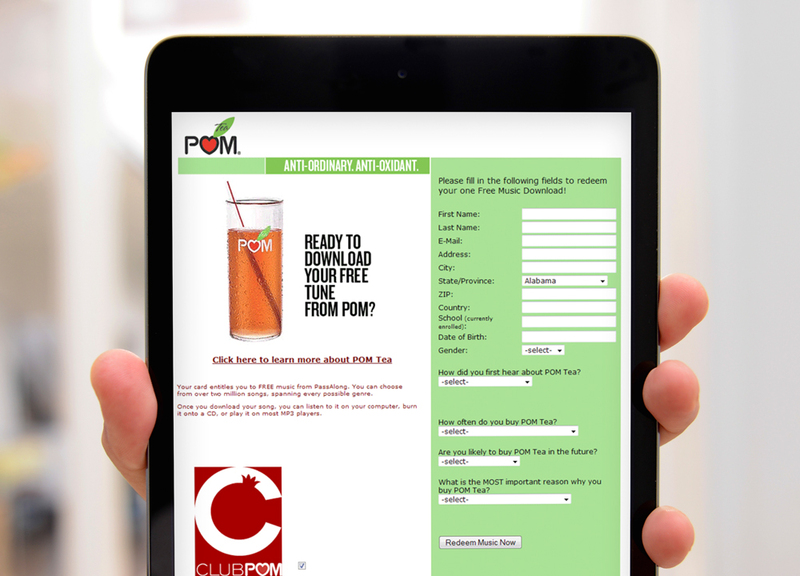 POM® was looking for a way to connect with the college market and position their brand as the "It" drink on campus. 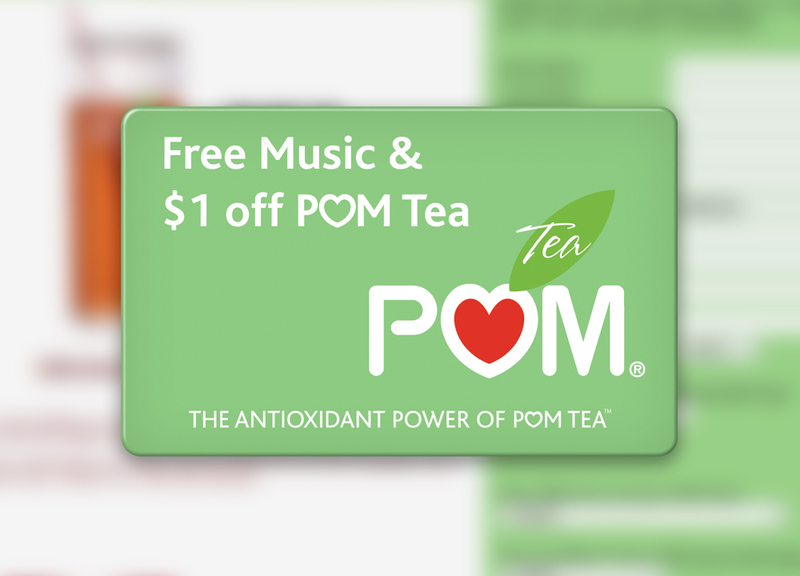 To drive sales with their target audience, POM distributed Music Download Cards on college campuses. The cards provided instructions for recipients on how to download their free music, as well as offering a UPC barcode on the back side giving $1.00 off of their next purchase. POM knew the best way to attract the attention of the youth market was through Music Downloads. With the free music also paired with money-off coupons, POM was sure to drive in-store sales, while building a strong image among the college market.